Is standby power charging up your electricity bill? Standby power is bumping up Aussie power bills, charging for electricity that isn’t being used. Australian households spend an average of $100 per year on power for standby appliances, according to research by Fairfax Media. 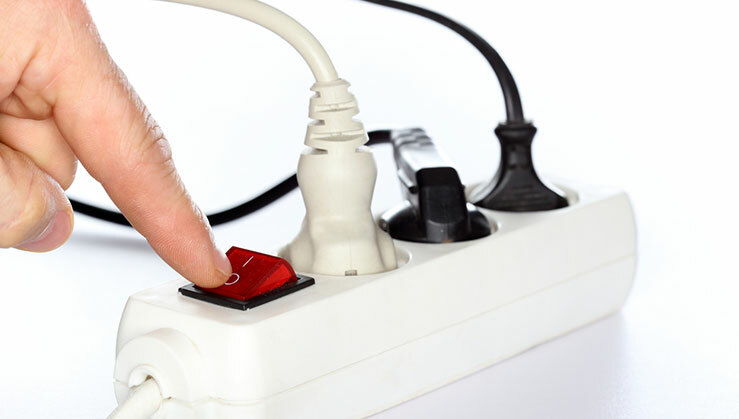 At a time when power prices are higher than ever before, standby power is one of the biggest energy drains around. Being mindful of standby power usage and shopping around for a better deal are two of the easiest ways to cut down your electricity bill. Compare prices with ElectricityandGas.com.au to find a better deal on energy in your area. An annual increase in power prices is due on 1 July, leaving Australians scrambling for ways to save on their energy bills before they become unmanageable. Once you’ve shopped around for an affordable deal, take stock of your household appliances to see which ones might be costing you more than you think. That’s over $370 million Australians are paying each year for appliances that aren’t even in use. Other items that are a drain on power include dishwashers, washing machines, computers, modems, and gaming devices. These appliances may even have two standby modes: passive standby, where the device is plugged in but powered down, and active standby, where the device is on but not in use. Both modes contribute to a higher power bill, so wherever possible switch off at the wall. A recent survey* found that one in four NSW households is struggling to pay the household bills on their current income. It’s no surprise, considering how quickly the price of energy is rising. Take control of your power bill by comparing plans in your area to see who offers the most affordable deal. Be sure to take into account usage charges, supply charges, and any available discounts, because they can impact the overall savings. For help comparing, talk to an energy expert with ElectricityandGas.com.au, who will be happy to help you out with pinpointing the lowest price on offer that meets your needs. Switching to a cheaper plan is easier than you think, so don’t stand by and overpay. Compare plans and start saving time and money as soon as possible.